Why does the most beautiful day of the summer always land on the first day of school? For those unfamiliar with fireweed, it is the unofficial state flower. Just about everywhere you go in Alaska, you will see some form of fireweed. When the flowers “top out” or reach the end, legend has it that winter is six weeks away. The flowers have almost topped out here (sorry about that!) Please note that Junior Towne is located at 1017 West FIREWEED Lane. Our Sorels, Obermeyer, Columbia, Patagonia for fall are all in. Jupa is on its way! We just received these pigtail headbands in from Bebedoos. It doesn’t get cuter than this! 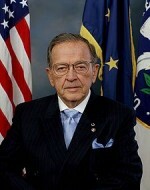 We would be remiss if we did not comment on the passing of Alaska’s Senator Ted Stevens. He was truly a singular individual and we have many fond memories of his family. My Mother who started Junior Towne was a friend of Ann Stevens, Senator Stevens first wife who was killed in a plane crash at our Anchorage airport many years ago. Members of the Stevens family have been good customers through the years. One of my personal recollections of the Senator was of sitting next to him at a luncheon. He had the common touch (but don’t ignite the temper! ), conversed with me readily and put me at my ease. The subject of the conversation through the course of the meal I don’t remember but I do remember the warmth and amiability of a true Alaskan pioneer. We have lost a great man who dedicated his life to Alaska. Anncouncing Super Saturday Shoe Sale! That’s right, just in time for Back to School-all our shoes (Stride Rite, Saucony, Lelli Kelli, Patagonia, See Kai Run) are 20% off this Saturday (August 14)! If you mention this blog, we’ll even take 20% off on Friday, August 13th! See you soon! You are currently browsing the Junior Towne Blog weblog archives for August, 2010.